Being in a ruminative mood, I'd like to discuss how I'm fascinated by the countless examples of unexplained phenomena encountered in everyday life. 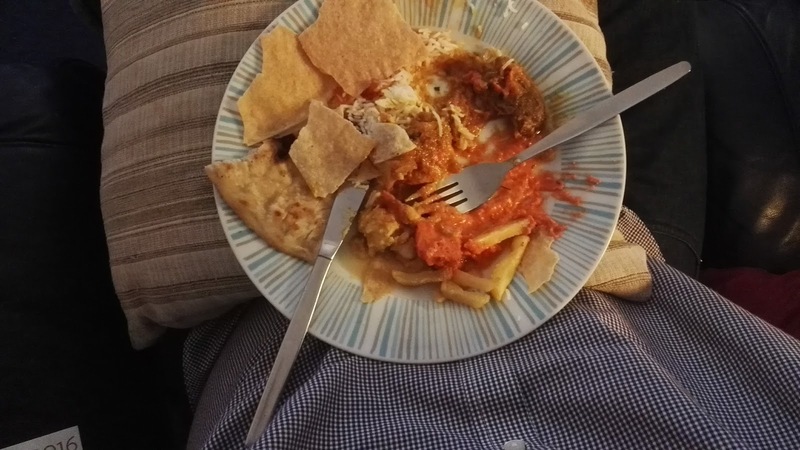 3 - I will spill some curry down the shirt, making it effectively useless for a work context, except on occasions where the car windows are misted over and I need a rag to wipe them. Internet Technologies - an easily distracted student is required to research the design of clickbait websites (i.e. "Click here for 15 amazing photos the CIA doesn't want you to see of Taylor Swift telling you how to be a millionaire with a free iPhone!") in order to discover if the websites do, in fact, have a finishing point where you can stop reading them at last, and en route to the finishing point, to see if there is any actual information of photos the CIA doesn't want you to see, Taylor Swift, how to become a millionaire, or how to get a sodding free iPhone. Food - a hungry and imaginative student is required to carry out a inferential analysis of the food within one thousand peoples refrigerators, in particular considering if any of the food in fridges actually went bad by the "Use By" dates on the packaging. They are also to review the contents of the so called "salad crisper" or "vegetable drawer" to see if, at any point, food is removed from this location to be eaten, rather than just thrown away after going mouldy. And of course, there is one very special fellowship available for anyone who can explain why there's such a demand for gym's that are open 24 hours a day. Who are these people that need to exercise their quad muscles at 2 o clock in the morning, instead of everyone else who is busy being asleep, or possibly drunk and eating a pizza whilst watching reruns of Cagney and Lacey? The 24 hour gym phenomenon is crazy. You are correct that I am not going to feel the urge at midnight to go do a spin on the elliptical & then hit the weights. Cagney & Lacey sounds great or Burn Notice. I am with you, Mike! Whilst I'm no fan of the gym I get the point of 24 hour gyms as a shift worker. Quite a few of my colleagues use them. The 24-hour gym thing is supremely understandable. Introverts prefer the hours when everybody else only has their blather-trap open to snore. I'll add to the parcel delivery phenomenon. Why is it I'm always in to take in neighbours'parcels but they are never in to take mine (as forementioned I'm out when they are delivered). And why are the people in the collection depots SO miserable, it's like they're captives forced to hand out packages.